Did you know that actually seeing clutter can increase the body’s stress response? Understand it this way: clutter indicates unproductively and uncompleted tasks, which makes you feel stressed about doing nothing. And when you feel this way, you could end up eating sugary foods to find temporary relief. See how the cycle works? So, to eliminate a source of stress and also to burn calories at the same time, clean your home. Remove clutter, vacuum, get down and start scrubbing the floors. You will naturally get a light workout and the cleaned and neat home would immediately make you feel better too. Dieting only works if you consistently stick to a plan. Doctors recommend eating in a manner that makes you feel satisfied, but caution against eating sugary foods and snacks high in the glycogenic index. Most dieters are well aware of relapsing and crashing. Going on and off a diet can actually make you gain kilos not shed it. Therefore, try to find ways to put an end to your yo-yo dieting habits. Don’t think that you can will yourself to eat healthily. It’s best to seek counselling help or go on a weight loss retreat to change the bad habits and find a more permanent solution to your dieting problem. When you can stick to a healthy diet, you will no longer feel guilty and stressed. There’s little point in little yourself to join a gym if you never manage to do it. 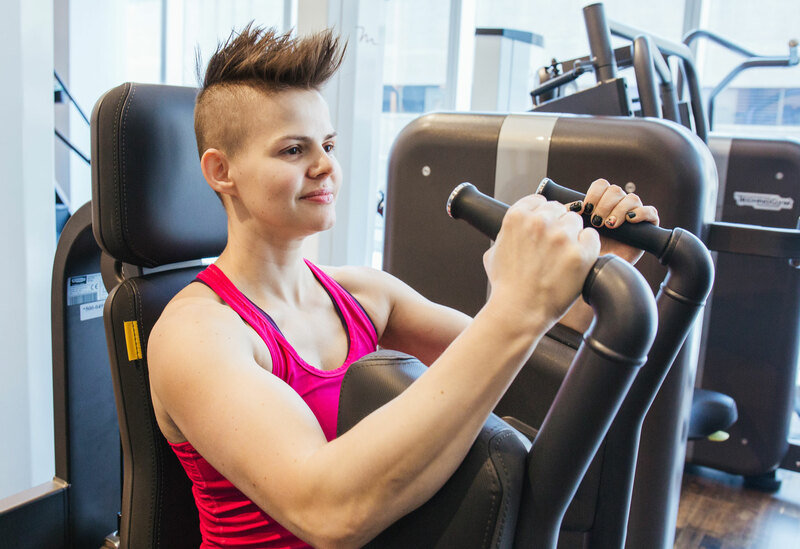 Going to the gym can be stressful when you are self-conscious about the way your body looks. There’s a better way to make working out a regular habit. Learn to do an activity that makes you sweat. For example, jogging is one of the most common physical activities that help people workout and relax without going to the gym. A rigorous activity like running may help clear your head, as many joggers claim. You can also try something else, such as joining a climbing class, going swimming, or cycling around in a nearby park. Find an activity you can like and regularly engage in it to improve your fitness level. When you are out sweating, you won’t be staying home eating snacks. Lack of sleep not only increases stress levels but also results in weight gain. Therefore, stop watching streaming shows at night and go to bed. Plan your day so that you can get 7 to 9 hours of uninterrupted sleep each night. Nothing else is more important. If you are currently sleep deprived, getting a good night’s sleep regularly will improve your mood and make you more committed to shedding extra fat. Try one or two of the above and see how it works out for you. Hopefully, you will achieve your stress reduction and dieting goals.